The programme is administered, managed and distributed by Hong Kong Wellness Ltd. These terms and conditions apply to the Aimviva Travel Club and the provision of any benefits there under. You must read these terms and conditions before you apply to become a member of the Aimiva Travel Club. By applying to become an Aimviva Travel Club member, and paying the annual membership fee , you will be deemed to have: Read and agreed to be bound by these terms and conditions. (1) modify the Aimviva Travel Club structure, make changes, in whole or in part, with or without notice, to any aspect of the Aimviva Travel Club, benefits, rules, regulations, polices, procedures, conditions of participation or other features including these terms and conditions. (2) terminate, suspend, cancel, deactivate, recall or revoke Aimviva Travel Club (in whole or in part) at any time, upon reasonable notice where it is possible and/or practical to give such notice Any revised version of the terms and conditions shall be effective as at the date of publication. Hong Kong wellness Ltd reserves the right to change the identity and range of partners, benefits structure / incentives / discounts / cash back and eligibility conditions at any time For example, Hong Kong Wellness Ltd may, among other things add, limit, change, replace or remove partners; add, limit, change, replace, limit, cancel, withdraw or remove any benefit, incentive or cash back; change the annual membership fees; change any other features, concessions or benefits of the Aimviva Travel Club; and/or adopt or implement any legal requirement, decision, recommendation, regulatory guidance or standard of any court, tribunal, ombudsman service or regulator . We shall use reasonable effort to notify the Aimviva Travel Club members of changes or variations to the Aimviva Travel Club by posting details of the changes on the Aimviva Travel Club website. Where we consider that changes to the Aimviva Travel Club will be significant, we shall endeavour to provide members with reasonable notice of the changes in advance. This notice may be provided electronically, including by email (sent to your last notified email address) or by posting details of the change(s) on the Aimviva Travel Club website. Aimviva Travel Club Membership is granted based on the sole discretion of Hong Kong Wellness Ltd. and Hong Kong Wellness Ltd may refuse membership to any applicant. 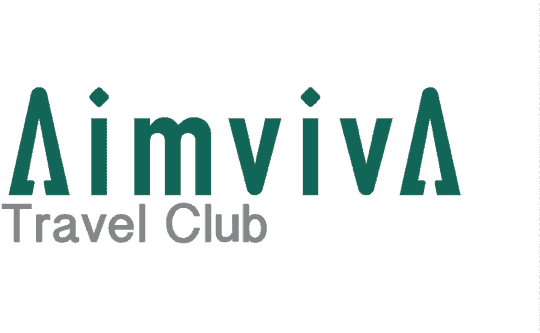 The Aimviva Travel Club membership year commences on the date that membership begins and runs for a 12-month period. No refund for any annual membership fee will be made to you in any circumstance. To qualify as an Aimviva Travel Club member, an applicant has to meet the following requirements:- A You must be 18 years or older (as of last birthday), whereas the maximum issue age is 70; B You must provide a valid unique email address and identification number; C Your annual membership fee is duly paid; and D You must provide a valid credit card in order to activate the Priority Pass benefit. Additional fees, including but not limited to, activation fees, surcharge, monthly fees and subscription fees, may be payable for the utilisation of certain benefits The fees may be payable directly to the partner. 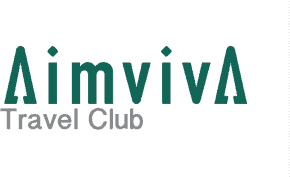 Participation and membership in Aimviva Travel Club is subject to the payment of an annual membership fee. All annual membership fee will be payable to us on or before your annual membership fee due date. The annual membership fee for the following year will be advised to you on initial application and prior to the annual membership fee due date. We reserve the right to vary the annual membership fee provided we notify you in advance of the new annual membership fee prior to the annual membership fee due date. If we do not receive payment of your annual membership fee by the end of the grace period, your Aimviva Travel Club membership will automatically terminate. Automatic termination Subject to our rules and any extension that may be allowed by us, your Aimviva Travel Club membership will automatically terminate. We reserve the right to terminate, suspend, cancel, deactivate, recall or revoke the Aimviva Travel Club (in whole or in part) at any time and do not guarantee that the Aimviva Travel Club will continue indefinitely or that it will be managed and owned by us. E if we believe that you are abusing or misusing the benefits, awards or privileges of the programme. In the event of termination of the Aimviva Travel Club or the cancellation of membership in the Aimviva Travel Club , we shall notify you in writing of such termination or cancellation by posting details on the Aimviva Travel Club website, and/or by sending an email to the last notified email address as specified by you. If any act or omission by you is dishonest or fraudulent or constitutes an abuse of the Aimviva Travel Club privilege, or if any dishonest or fraudulent or improper means or devices are used by you, any member of your household or anyone acting on your or their behalf in relation to the Aimviva Travel Club, then all benefits may be lost or forfeited. Hong Kong Wellness Ltd shall not be liable for any damage or loss of any kind directly or indirectly arising from or in connection with the Aimviva Travel Club, any information, software, products, services, benefits or content obtained through the Aimviva Travel Club, or your dealings with our partners and third party service providers available through the Aimviva Travel Club. Hong Kong Wellness Ltd shall not be liable for any disruption to the Aimviva Travel Club or any delay to or inability to provide any of the benefits caused by circumstances beyond the control of Hong Kong Wellness Ltd including, but not limited to, failure of any service provider or other third party, merchant closure, strikes or industrial disputes, acts of God, flood, weather, natural disaster, unavailability, war, hostilities (whether war be declared or not) terrorism, rebellion, revolution, insurrection, military or usurped power or confiscation or civil disturbance. Whilst we, (including our holding company, subsidiaries and/or the subsidiaries of our holding company and any joint venture partners or affiliates), endeavour to ensure that the contents of the material are accurate, errors or omissions may occur and we do not accept any liability in respect of them .